1 In small bowl, combine all wet and dry seasonings and mix well, forming a coarse paste. 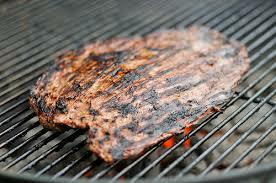 Spread paste evenly over both sides of each flank steak. 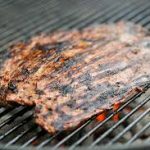 Wrap each flank steak individually with Cling Wrap and refrigerate for 2-12 hours. 2 For charcoal, build a charcoal fire for direct grilling. 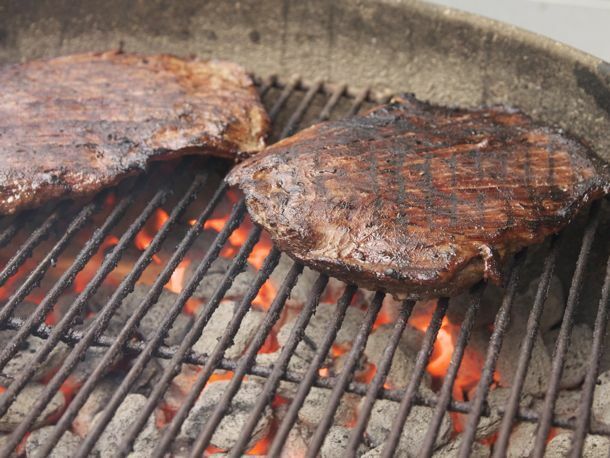 3 Before placing on the grill, allow steaks to sit about 30 minutes at room temperature before grilling. 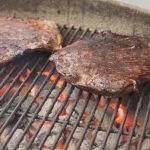 Grill steaks directly over coals, or for gas grills on high heat approximately 450-500 F, for 4 to 5 minutes on each side. Internal temp of steak should reach 130-140 degrees F for rare to medium rare. 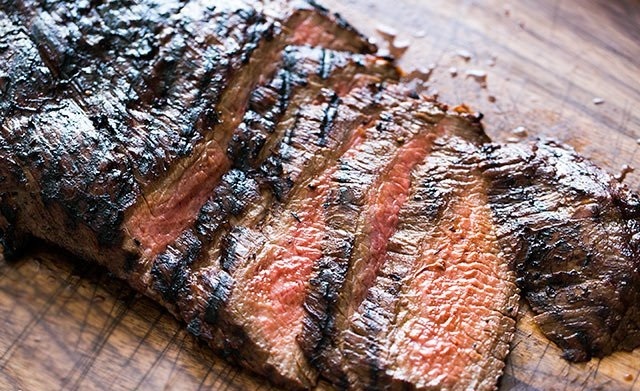 4 Place steak on cutting board, loosely cover with aluminum foil and allow them to rest for 5 minutes before serving. 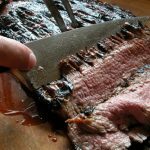 For optimum tenderness, cut flank steaks across the grain and on a bias* into 1/4-inch slices and serve. * Bias – Hold a cleaver or chef’s knife at a 45-degree angle to the meat and slice it.